August is here and so is the PQIP newsletter, to keep you up to date with everything happening in the world of the Perioperative Quality Improvement Programme. If you have any queries on anything below, please get in touch at pqip@rcoa.ac.uk. We hope the first set of PQIP reports released in July has started the cogs turning for quality improvement projects at your site. In case you missed the initial release, they are available on the PQIP website once logged in, under the heading ‘Reports’. We recommend the html version of the report for online viewing. Sites are also reminded that the PQIP Dashboards are now live on the site.Please maximise the opportunity for your department to engage with PQIP byobtaining logins for as many local collaborators that want them - please ask your local Site Administrators to provide these - ensuring that your data entry is contemporaneous, and locking your data as soon as it is all entered and the patient has left hospital. Please note, the clinical data and patient questionnaires need to be separately locked once complete. PQIP has recruited over 2,400patients! 53 hospitals are now up and running. Congratulations to Cumberland Infirmary and St Peter's Hospital for being the latest sites to start recruitment! We want to have at least 70 hospitals on board by the end of 2017 – so if you are not yet started, contact pqip@rcoa.ac.uk for support and tell your local R&D department you want to join this NIHR portfolio adopted study (CPMS ID 32256). As part of the linkage process with NHS Digital, we have been asked to issue an update to participants already recruited regarding the way that we process some of the identifiable information. This information is now available in the 'Patients' section of the PQIP website and is also shown on the homepage of the PQIP patient website. Please direct patients recruited using the current consent form and participant information sheet to this information whilst we await approval of a modified consent form and participant information sheet. It’s getting around to the time that some sites will start making 6-month follow-up phone calls. We have created a follow-up script for these, which can be modified to suit your site. This script is available in the Study Documentssection of the website. As mentioned above, we are in the process of submitting a substantial amendment to change our consent form and participant information sheet. This is to support our data linkage with NHS Digital and the Office for National Statistics. We will email all PIs and local R&D departments as usual when we have confirmation that this is approved. In the meantime, please continue to use the current version of both documents. 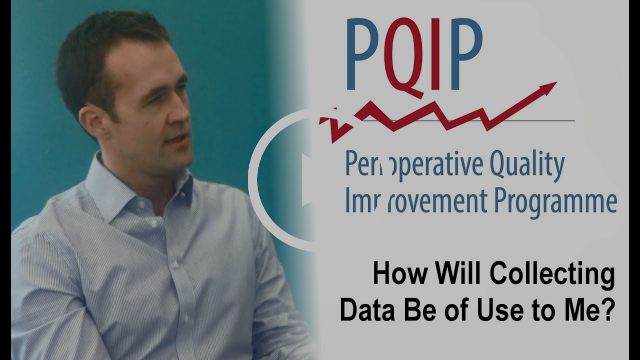 More content is now live on the PQIP YouTube channel.In our latest PQIP TV production, Duncan Wagstaff, anaesthetist and PQIP Fellow,talks with SNAP-2 Fellow Danny Wong about how PQIP data collection can be of use to sites - please share the link with your colleagues. The Perioperative Section of the Society of Academic and Research Surgery Annual Meeting has issued a call for abstracts for its 2018 Annual Meeting. 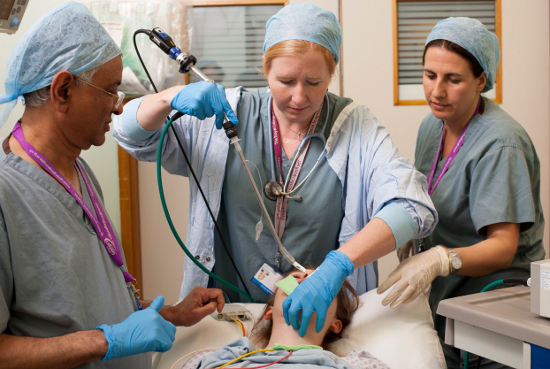 Following the SARS Meeting held at the Royal College of Surgeons in Ireland in 2017, the Perioperative Section of the SARS 2018 meeting will be held at the University of Nottingham on Thursday 11 January 2018. All abstracts mustbe submitted online.The top abstracts selected will be invited to compete for the highly prestigious Patey Prize, with the remainder of those selected invited to present as an Oral Presentation.If you have any further queries please contact Sarah King at the Royal College of Surgeons of England. The closing date for submissions is 5:00pm on 9 September 2017. And finally... it's August changeover - the perfect time to start a QI project! With the large turnover of trainees in August, what better time is there to get new starters involved in a QI project at your site? Check out our new tips forTrainee and Colleague Engagementand ourAppraisal Form which links to the QI and research objectives in Annex G of the RCoA's curriculum. The form can be used by any health professional of any specialty to provide evidence of engagement in research and QI to support their annual appraisal. We hope you find this helpful – please send us feedback on what you think, via email or @PQIPNewson Twitter. You can follow us there for all the latest developments. That's all from us for now. Have a great summer everyone!